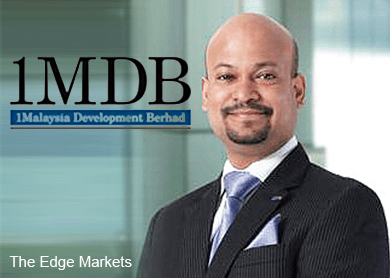 KUALA LUMPUR (June 17): 1Malaysia Development Bhd (1MDB) president and group executive director Arul Kanda Kandasamy has expressed apprehensions at the manner in which the Public Accounts Committee (PAC) will question him ahead of his meeting with the committee on Aug 5. "Notwithstanding the various public statements on 1MDB from PAC member Tony Pua, I have every confidence that the honourable members of the committee will allow me a fair opportunity to explain 1MDB’s position, to a lawful authority, per the requirements of due process," he said in a short statement today. Pua, who is DAP National Publicity Secretary and Member of Parliament for Petaling Jaya Utara, has been highly critical over the actions of 1MDB's top management and its dealings. “I refer to various statements on 1MDB and me, attributed to Pua, as reported in certain online publications today. Pua is a member of the bi-partisan PAC, before which I have been called to appear on Aug 5. The purpose of my appearance before the committee is to respond to questions that its members may have. "The PAC is a lawful authority and the appropriate forum for questions to be asked and answered," Arul said, adding that he is confident PAC will be fair.